Did I have you at vanilla bean? Hope so! Well, I love the flavor of vanilla beans. But they’re expensive! 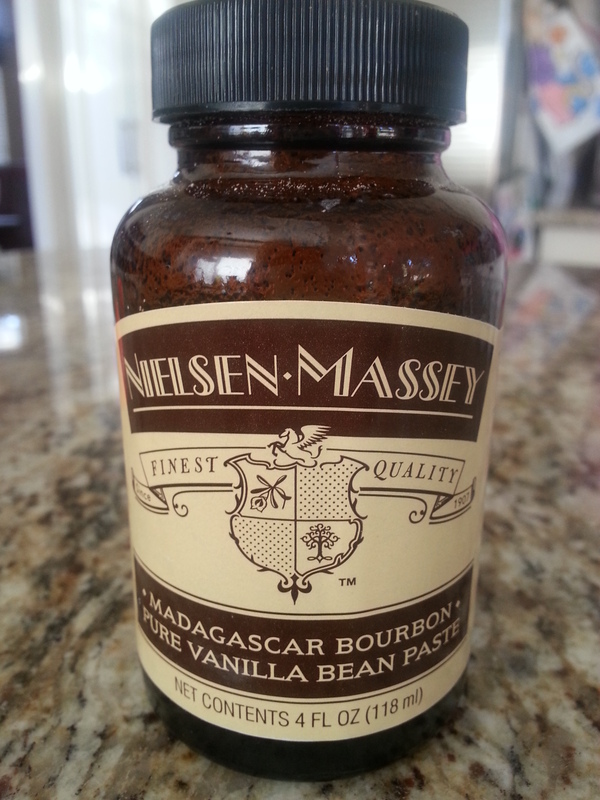 Luckily, a friend told me about vanilla bean paste. Yay! Where has this product been my whole life? Sad that it took me so long to “discover” it, but glad I now have it in my possession. And I’m taking every opportunity available to use it. 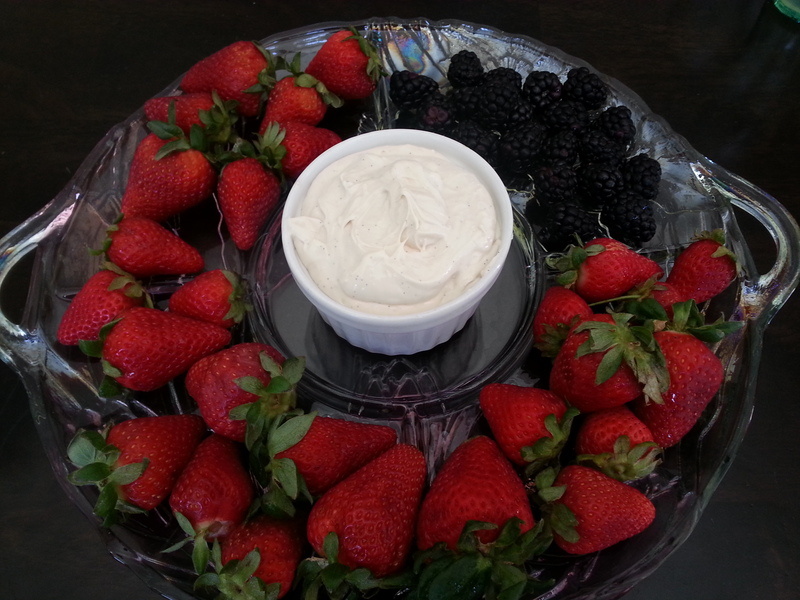 That being said, I made this dip for Easter brunch last week. It was born out of necessity. I had some pretty strawberries and it was absolutely necessary that we have a cream cheesy type of dip to go with those red gems. First thing I thought of was this dip that my aunt made throughout my childhood. You’ve probably had it or something similar. Hers consisted of cream cheese, marshmallow fluff, and amaretto. And I always LOVED it when she brought that out. Unfortunately, I didn’t have any marshmallow fluff OR amaretto. But I did have turbinado sugar (think Sugar in the Raw). Which also reminded me of another childhood memory. Another aunt of mine would always serve strawberries with Sugar in the Raw whenever we came to visit. I also LOVED that whenever she brought it out. 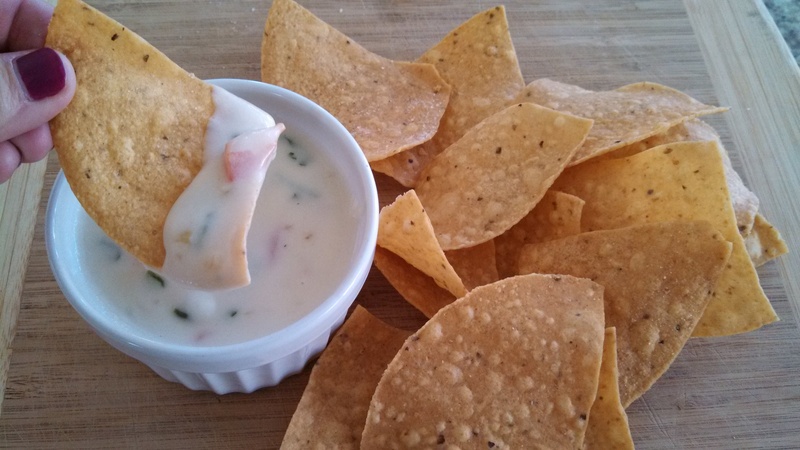 With those two memories in mind, this lovely dip was born. 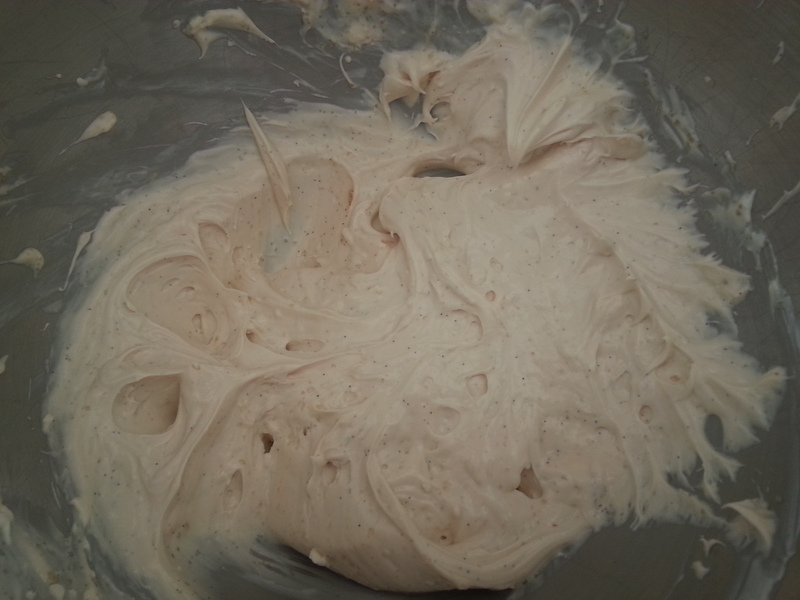 Add the cream cheese to a stand mixer. You can also use a bowl and use a hand mixer. Beat cream cheese until smooth and add the rest of the ingredients. Mix until smooth. Refrigerate until ready to serve. Serve with strawberries, blackberries, pineapple, etc. Whatever fruit you fancy. Don’t save this recipe for holidays! I will definitely have this dip and some fruit at my next BBQ. 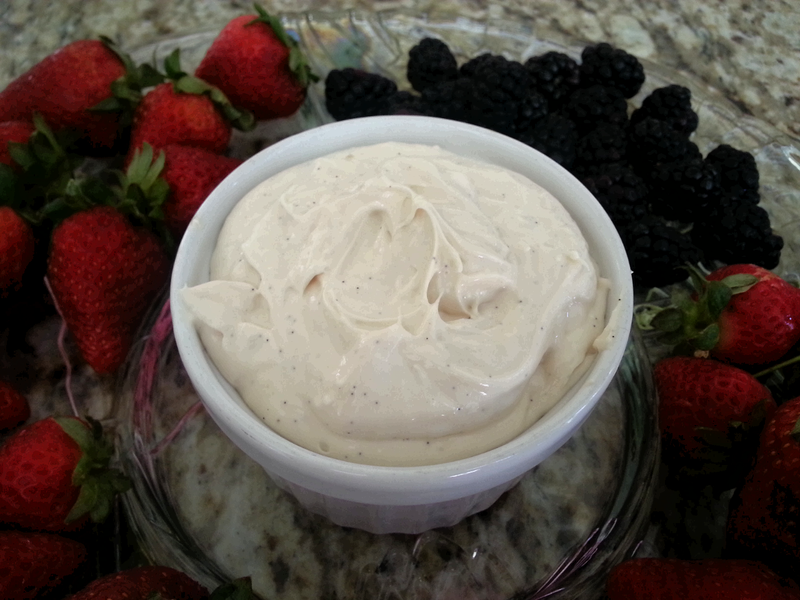 This fruit dip is also great without fruit. And just on a spoon. Don’t judge me. I have a confession to make. I’m not a big tomato fan. But I like ketchup. I like sliced tomatoes on sandwiches and burgers. I like salsa. I like pico de gallo. But I’m not a big “red sauce” fan. As in spaghetti sauce and the likes. I like spaghetti though. Confusing, I know! I just don’t like big chunks of tomato. Canned tomatoes specifically. Yet, every time I go to Costco, I buy the huge box of diced tomatoes. Seriously. 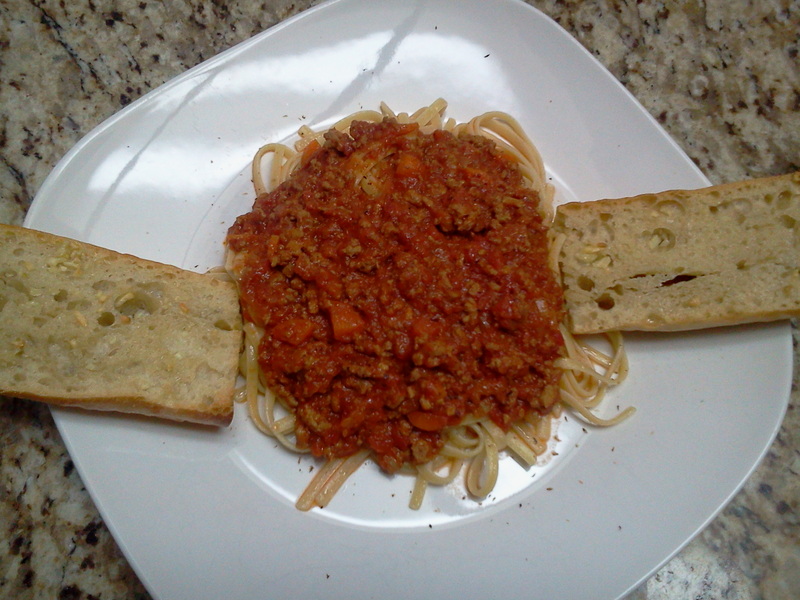 So this recipe, created by me (Momma J) :), is just right because it has crushed tomatoes in it. Hallelujah! No big chunks that I have to pick out and push off to the side. 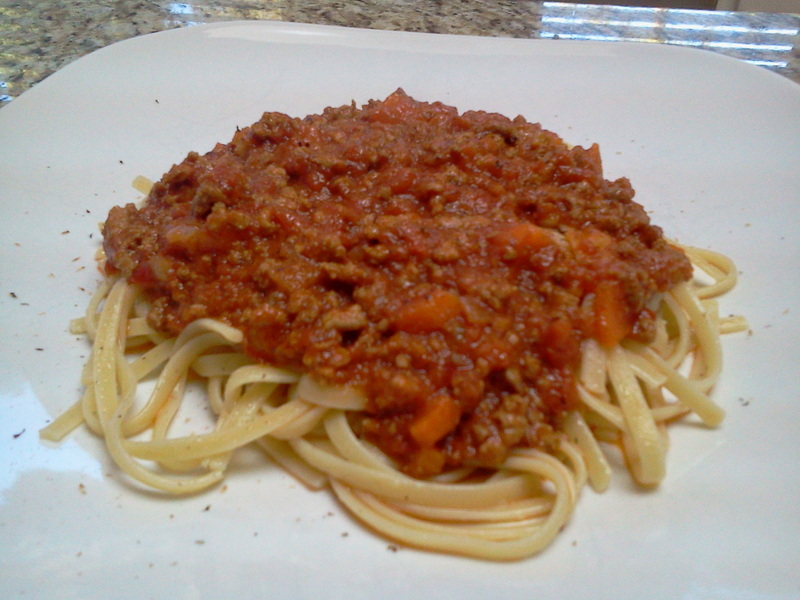 This sauce is a definite nice change from regular spaghetti sauce. Super simple, but I just love the flavor because it doesn’t taste simple. And it’s budget friendly, which is always a plus in my book. Heat a Dutch oven (or a stockpot) over medium heat. Add olive oil and butter, let melt. 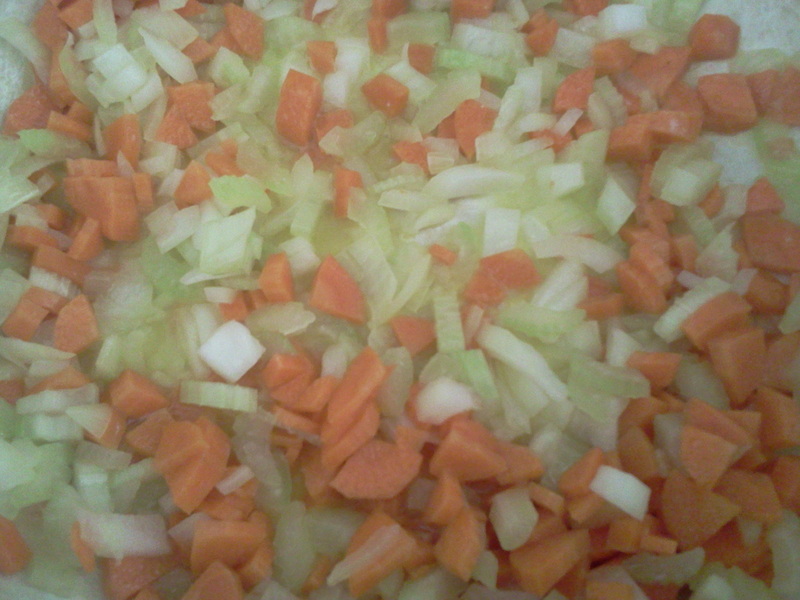 Add onion, carrots and celery. Saute for about 5 minutes. Add both meats and cook until browned. Add wine and let cook for 2 minutes. Reduce heat and add tomatoes, milk, salt, pepper and nutmeg. Bring up to a boil, and then reduce heat to a simmer. 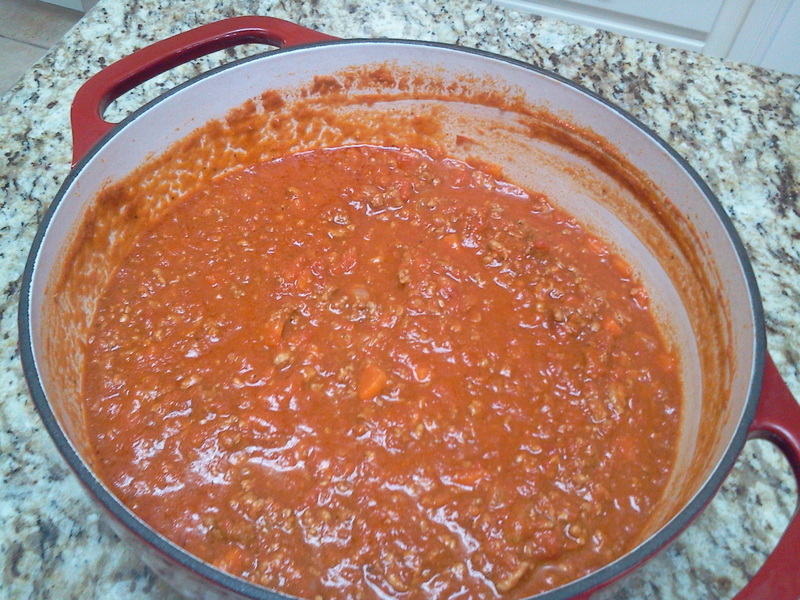 Let simmer covered for 1 hour, and then uncover and let simmer for 1 hour or until sauce has thickened. Serve over your favorite pasta (I used linguine) and freshly grate some nutmeg over the top, along with some fresh cracked pepper. This recipe made enough for my family to have TWO meals. The other half is in my freezer and begging to be eaten every time I open that freezer door. I love having sauce in the freezer like that, but if you don’t, just cut the recipe in half. Snack. It’s a word I pretty much loathe. I’ve heard that word for so many years now. Ever notice how you can feed your kids lunch and they eat everything, yet 20 minutes later, they ask for that dreaded word? How is that possible?!?! I don’t understand it at all. So when they come home from school, they want a snack. I know kids need snacks. But it’s just something I have against that word. 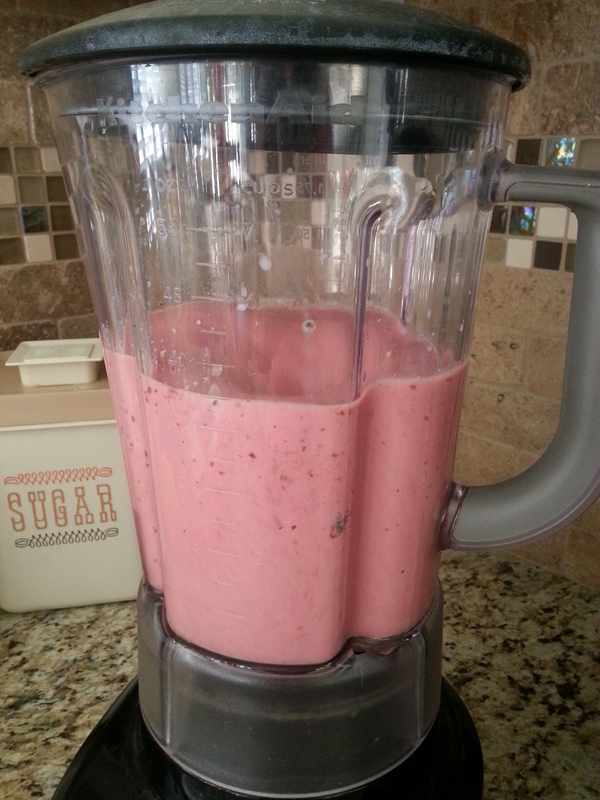 Anyways, when it’s hot out, I like to make them smoothies as their after school snack. It’s a nice refreshing “treat” that is actually good for them. And a great alternative to the typical snacks they usually have. I realize I used the word “snack” way too many times in this post. But besides that, this would make a great and quick breakfast as well. 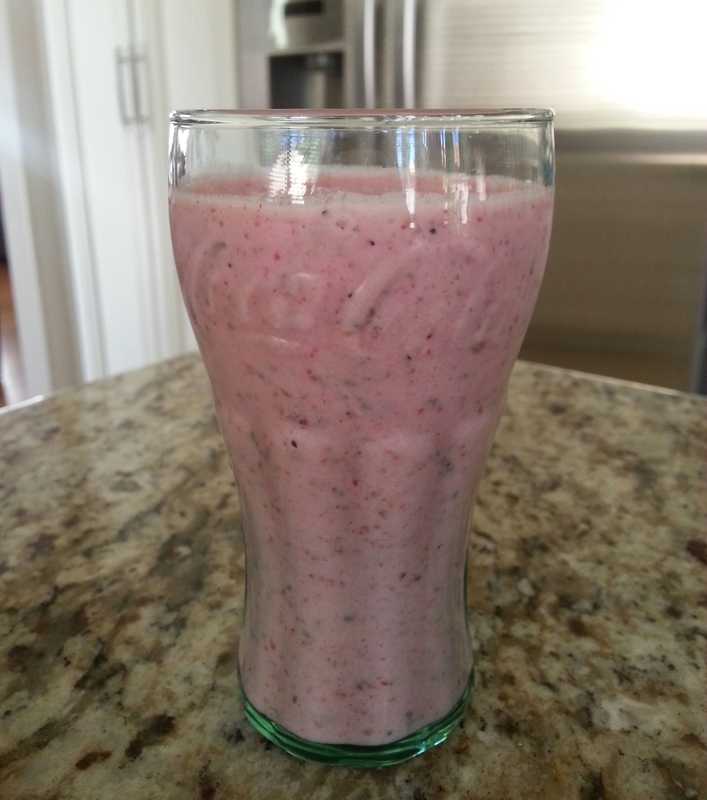 Put all ingredients in a blender and blend on high until smooth and combined. This recipes makes enough for about 4 smaller smoothies with just enough left over for Mom to tilt back that pitcher and get out the last few drops. Product of the USA. Do I really need to say more about that? Made with organic oats and organic sugar. The ingredient list isn’t a mile long, and it actually has things in it that I’ve heard of and can pronounce. 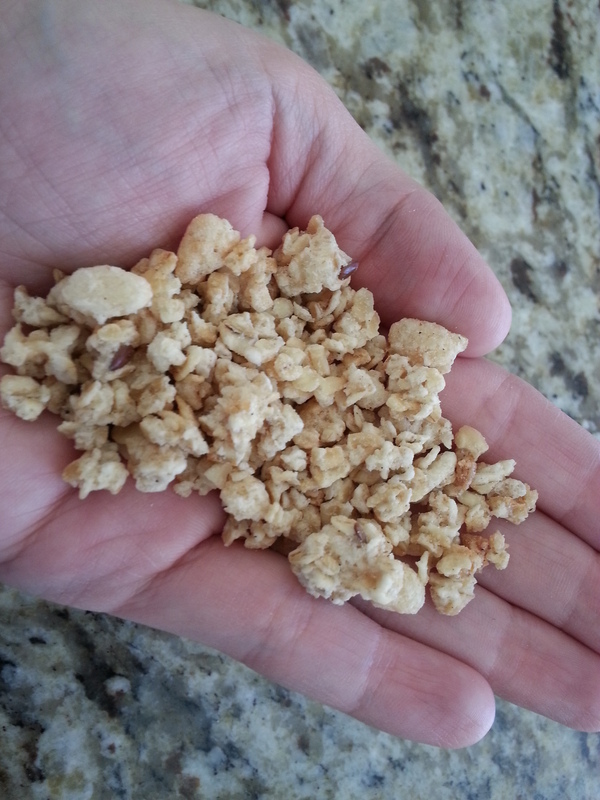 26 grams or more of whole grain per serving! The milk style container is recyclable. 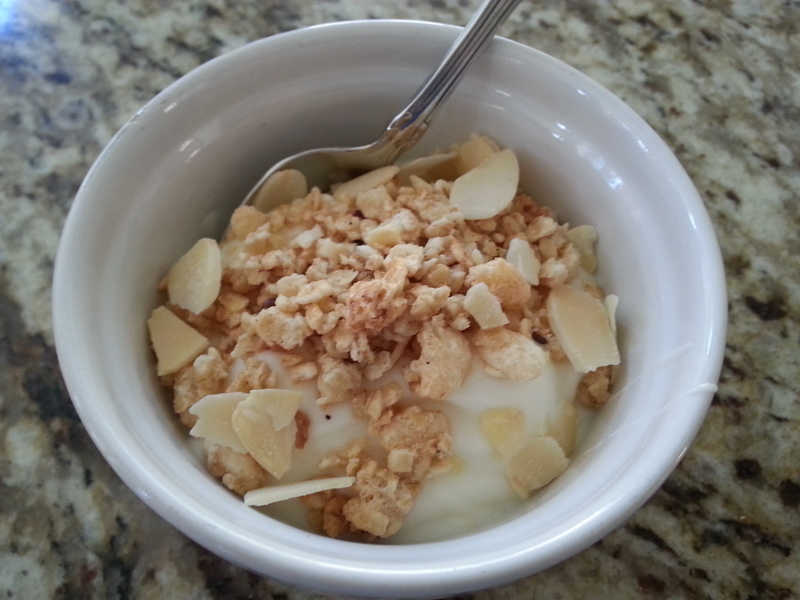 This granola is delicious to eat straight out of the carton. Or out of your hand. After I opened the box, I sat on the couch with my oldest daughter and just kept pouring it into our hands. 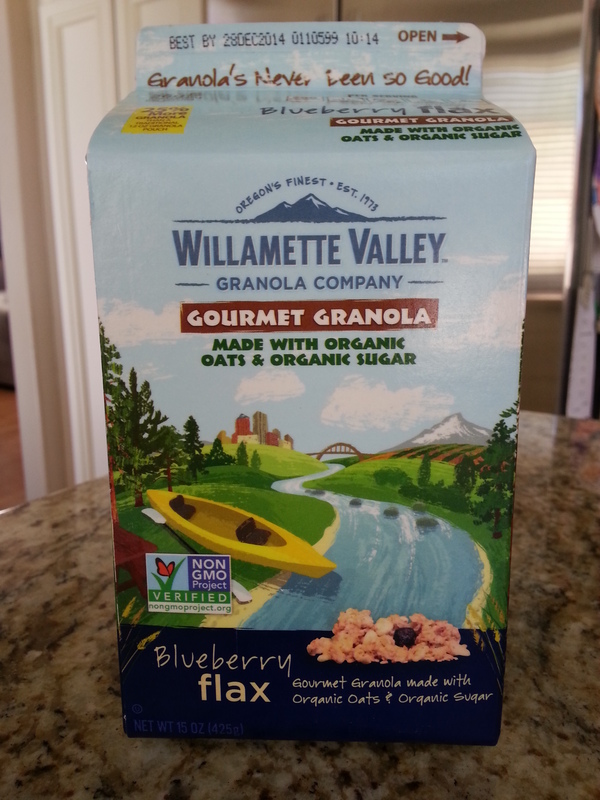 I think I ate at least a cup of granola in one sitting. It was a little excessive, I admit. But I don’t regret it. It would also be great in a parfait, or just simply sprinkled over yogurt. No need to get fancy. Probably amazing in homemade granola bars. Haven’t tried it yet, because I’m still stuck in the eating it out of my hand phase. But it’s on my to do list. 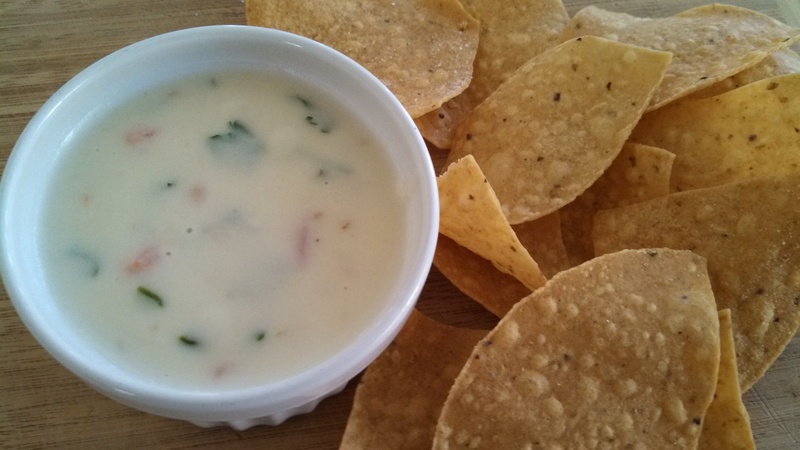 I really like queso. A lot. And this recipe uses real cheese. Not that other stuff. I’m not going to talk smack, but I’ll just say that I don’t cook with it. We eat this in my house, often. It’s very easy to make and eat straight out of the pot, or you can transfer to a small crockpot, keep on low and serve to guests. 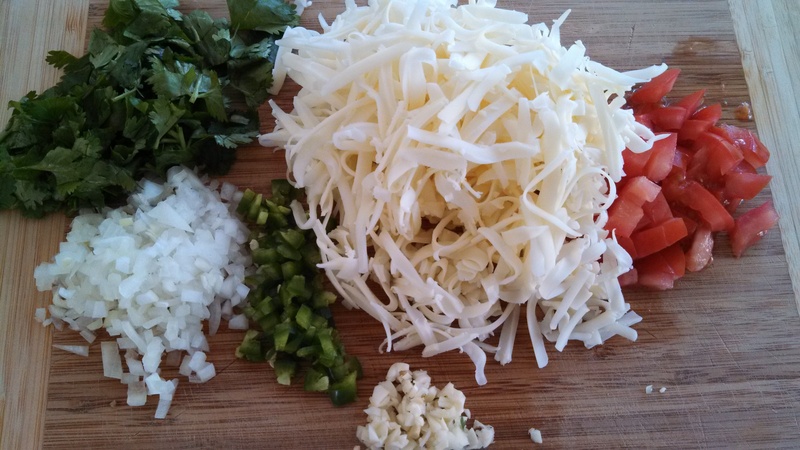 It’s also versatile as far as using different types of cheese. And I bet if you make this once, you won’t go back to that orange-ish block of expensive “cheese”. Melt butter in a saucepan or small pot on medium heat. Add onions and jalapeno and sauté for approximately 3 minutes. Add garlic, stir, then sprinkle with flour and stir together. Add milk, cilantro and tomato. Bring to a boil, and then reduce heat. It should be a thicker consistency. Add cheese a little bit at a time, making sure to stir and let it melt before adding more cheese. *If you like a little kick, half Monterey Jack and half pepper jack is a great choice. Or half sharp cheddar and half Monterey Jack makes for a sharper flavor. Serve with your favorite tortilla chips. You want to eat just this for lunch? Go ahead. I’ve done it myself. Time to share an embarrassing mom moment. My family and I went to Texas on our Spring Break to visit some family and friends. Yee haw! We loved Texas! While there, we visited the Dallas Zoo. If you’re in the Dallas area, I highly recommend stopping by this zoo. It’s affordable and you’re able to see the animals UP CLOSE! 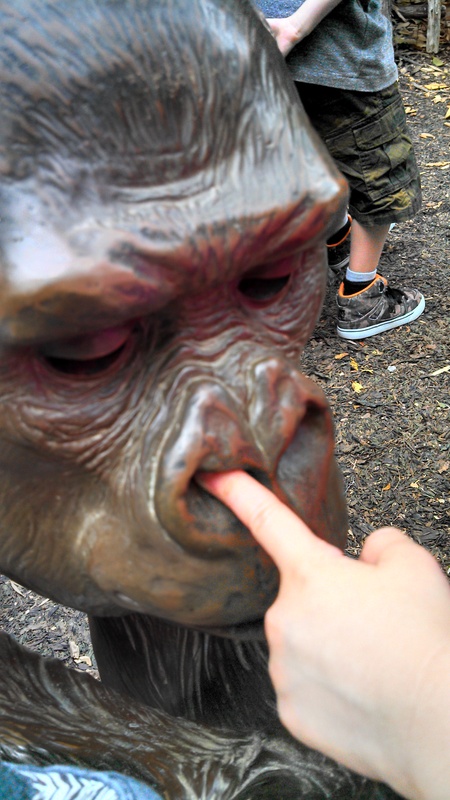 As for one of our up close animal experiences, we were super close to one gorilla in particular. 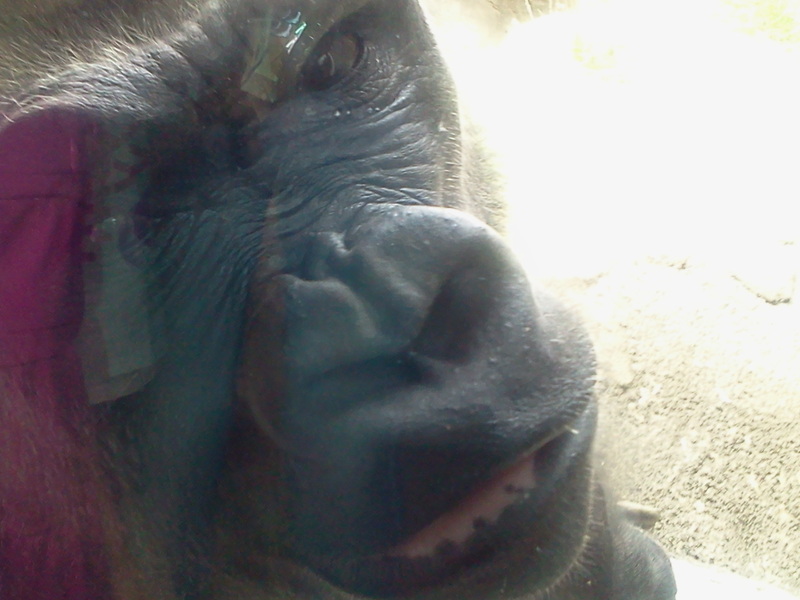 She was just on the other side of the glass and that’s definitely the closest I’ve ever been to a gorilla. It was very cool to observe her so closely. 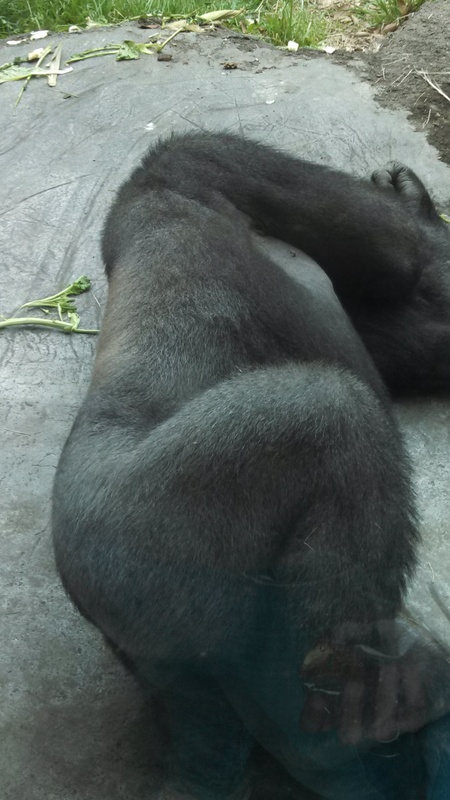 Well, this gorilla wasn’t shy, and during our observation, she decided to scratch herself. Down there. You know, in her private area! My kids thought this was super funny and one child in particular decided to announce it several times. Loudly. Unfortunately for me, I had an older couple standing right next to me. They just stood there and smiled while I tried to gag shush my loud mouth of a child. Don’t you just love it when your kids embarrass you? I know I don’t. So I hoped we wouldn’t hear about the anatomy of Lady Gorilla again. Until we get back from our trip, and I find out my neighbor asked my daughter what her favorite part of our trip was. Her response? Watching the gorilla scratch her ******* at the zoo. Awesome. It’s the Best Soup Ever!!! So if you replace the word “soup” with “day” in the title of this post, do you know which kids’ show that’s from? If not, it’s from SpongeBob! 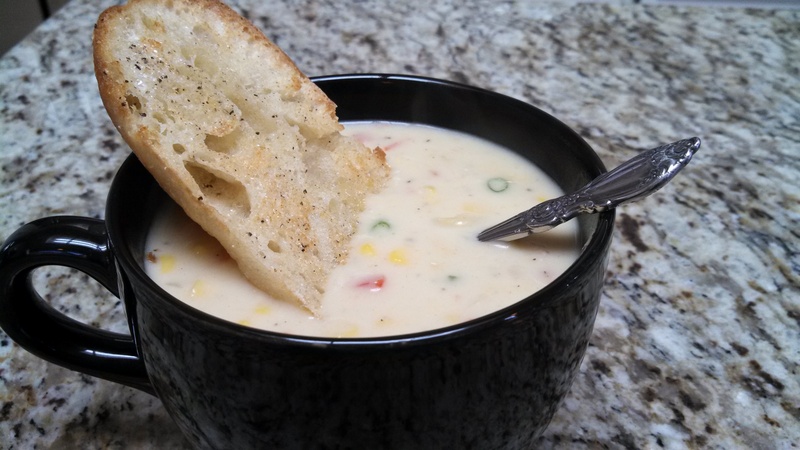 And I am as happy as SpongeBob is when he sings “It’s the best day ever….” when I think about this soup. By far, this is MY favorite when it comes to soup. And I have Pioneer Woman to thank for that. So thank you PW! 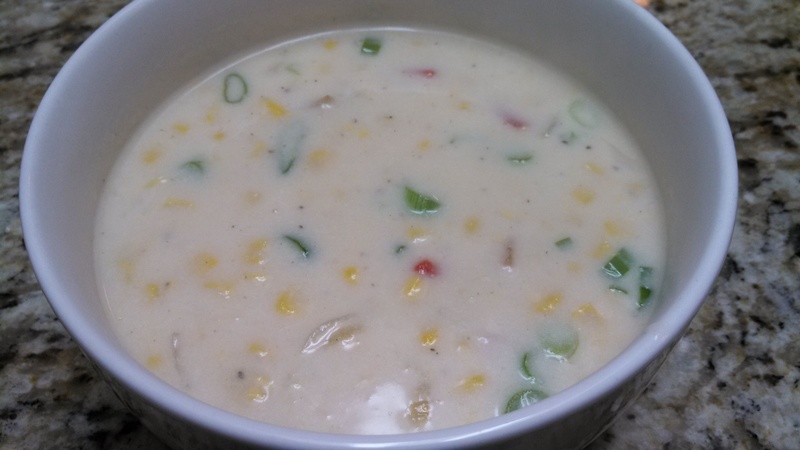 Corn & cheese chowder. She had me at chowder. It’s comforting, creamy, filling and delicious. Great served with a French baguette. Just typing this makes me crave this soup. And it comes together so fast, but has so much flavor, you’d never know how quick it was to make. In case you couldn’t tell, I’m passionate about this soup!!! I have adjusted this recipe slightly to cut down on calories and to work with what I usually have on hand. However, if you want full fat and to see how PW does it, check out the original recipe. Of course, she has amazing step by step pictures. In a large pot or Dutch oven, melt butter over medium-high heat. Cook onions for a couple of minutes. Add bacon and cook until almost crisp.Then add diced bell peppers or pimientos and cook for a couple of minutes. Finally, add corn. Sprinkle flour evenly over the top and stir to combine. Pour in broth and stir well. 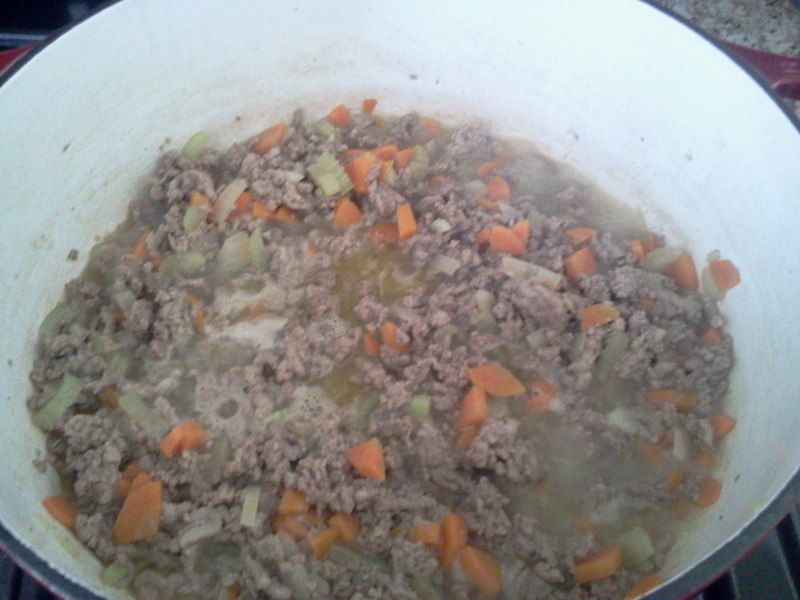 Allow this to thicken for 3 or 4 minutes, then reduce heat to low. Stir in milk and allow to simmer/thicken for 15 minutes or so. 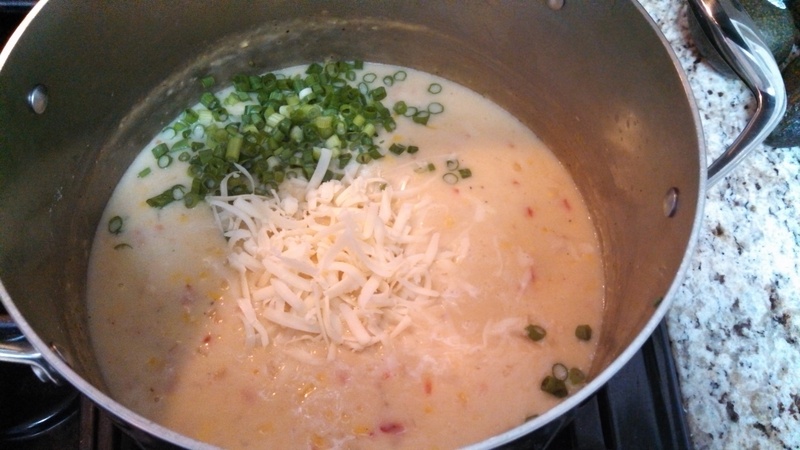 Stir in cheeses and green onions. When cheese is melted, add salt and pepper to taste, with a dash of cayenne. It’s now ready to eat! And you should seriously make this. TONIGHT!!!!! !